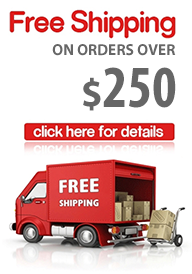 When setting up ceiling mount curtain rods you will need to purchase ceiling brackets. 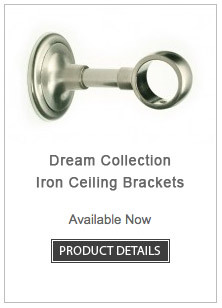 Ceiling brackets are easily mounted to the ceiling and the curtain pole is inserted through the ceiling bracket loops. 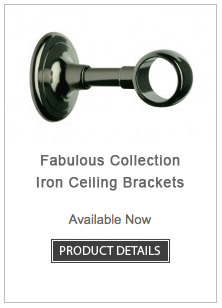 We carry a great selection of beautiful ceiling brackets available in a variety of colours. We also offer extendable ceiling brackets in our Iron Classic Collection, which can be adjusted to a desired height, from 4.39 to 5.38 inches, making them very practical for various applications. If your window has an immediate wall above you should consider installing ceiling mount curtain rod brackets. 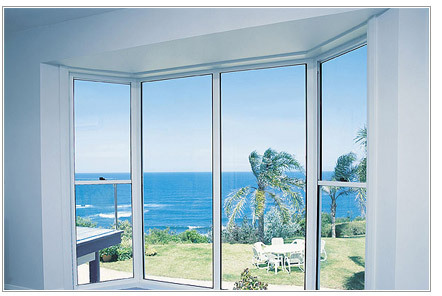 Please refer to the image below for an ideal Bay Window ceiling mount curtain rod application. 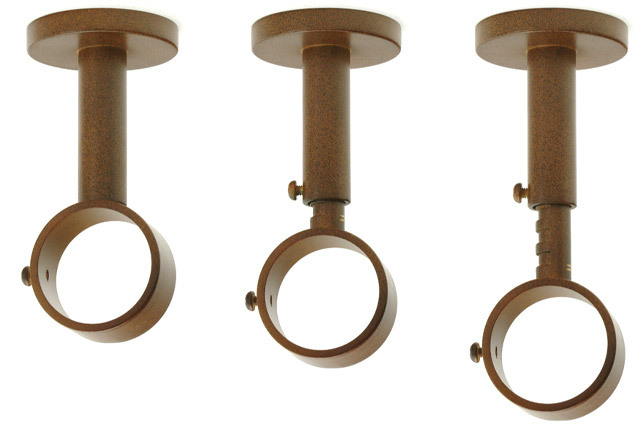 Our ceiling curtain rod brackets consist of three parts as illustrated below. 1. Use the provided anchors and screws to mount the top piece into your ceiling. 2. Next screw the second piece into the first piece, which you mounted into your ceiling. 3. Finally insert the third, adjustable piece into the second piece at the desired height and tighten.